BT has won the rights to show 2016/2017 Ashes Cricket from Australia as part of a deal with Cricket Australia. The deal also includes all Australia home cricket matches including multiple series against New Zealand, South Africa, India and Pakistan. The rights also include the hugely successful 35 KFC Big Bash League matches, which see international stars flocking down under, including South African legend Jacques Kallis and former England international Kevin Pietersen. BT Sport will also show the women’s Ashes and the women’s T20 Big Bash League. 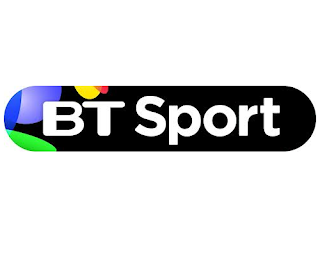 BT Sport has also acquired a free-to-air rights package for its showcase channel on Freeview that includes daily highlights of international matches and the Big Bash League, as well as one Big Bash League ‘match of the round’ broadcast live and free each week. The news further splits the range of sport available between the two pay TV goliaths Sky and BT Sport, and may well now force more viewers to subscribe to both; Sky continues to hold the rights for England Cricket until 2019. The most efficient way to access both services is via Sky's satellite platform, as BT's television service currently doesn't offer the full suite of Sky Sports channels, and doesn't include Sky's premium entertainment channels including Sky 1, Sky Atlantic and ITV Encore. Virgin Media offers both sports services on its platform, but currently doesn't have the full set of entertainment channels available elsewhere, including BT's AMC channel, Sky Atlantic, ITV Encore and Spike. While Sky's NOW TV service permits short-term access to its sports channels, allowing viewers to get Sky Sports for 24 hours or a week at a time in order to attact casual sports fans who just want temporary access for a football match or test cricket, BT insists that subscribers take out longer contracts. Its YouView based service requires a lengthy broadband and TV contract, with its line rental the most expensive of all major telecoms organisations. Whether BT will in time offer more short-term contracts or web-based day passes beyond its planned free-to-air offering remains to be seen.